Jesus-Islam » His mission » Does Jesus have time for a sinner like me? 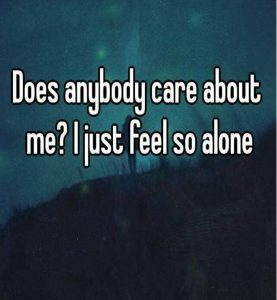 Would Jesus even care for someone like me? If you still doubt whether God has any concern for you, let me tell you about some of the first people Jesus appeared to after his resurrection from the dead. The first person Jesus appeared after his resurrection from the dead was a woman considered a complete nobody. She was a person who was “less than nothing.” Her name was Mary Magdalene. She had been possessed by demons. It goes without saying that in this condition, she lived the worst of lives. It was insignificant but Jesus agreed to receive it. Why? Because Jesus gives time to those who are “less than nothing”. People others just don’t want to know or associate with. Jesus has time for those who are less than nothing. Late that day, Jesus will appear to a loser, in fact a great loser. It was one of his disciples who had denied him three times in one night despite having sworn before heaven and earth that he would never leave Jesus, come what may. Jesus, however, pardoned this young man who was deeply saddened by his denial. That is why we can be sure that Jesus Christ gives time to losers. He appeared to two very distressed people. They were walking home and were confused and upset about the events that had taken place in recent days. The person they loved so much had been crucified three days before? They had also heard a few snippets of information that he was alive, even though they knew he had died. They were sad, confused and troubled. As they walked and talked, Jesus came and walked along with them. Why? Jesus gives time to those who are confused. There is also the account of the 10 disciples who were so afraid of the Jews that they locked themselves in a house, afraid that they would be next to be arrested. Jesus did not need to open the door. He simply came and stood in their midst despite the closed door. Why did he come to them? Because has time for the fearful. Then there was one who did not want to believe that Jesus had really risen from the dead unless he saw and touched him and the very wounds in his hands and side. What was the reaction of Jesus to him? Would he say to him: “I’ve had enough of your disbelief, I’m finished with you”? No, and no! Jesus came rather to meet him because Jesus has time for sceptics. Next we have the case of a cynic. A man who had lived in the same family home as Jesus in Nazareth. In fact, it the half-brother of Jesus. James, is a younger brother of Jesus. He hadn’t believed a word of what Jesus was telling him for the last three and a half years. His only comment on what was happening was that Jesus was out of his mind. Nevertheless Jesus appeared to him at his resurrection and brought him to true faith and trust. Why had Jesus done it?, because Jesus has time for cynics. Finally, there was a man who did not meet Jesus at that time. His story happened later. He was fiercely opposed to Christianity to the point of being ready to exterminate Christians wherever he could find them. How would Jesus was to this enemy? While this man was on a special mission to Damascus in order to kill as many Christians as possible, Jesus came to meet him while he travelled along the road with a heart full of hatred for Christ and Christians. Jesus confronted him by saying, “Saul, Saul, why are you persecuting me?” It was through this that this man became a believer, a preacher and an apostle. He was brought to faith because Jesus has time even for his enemies. 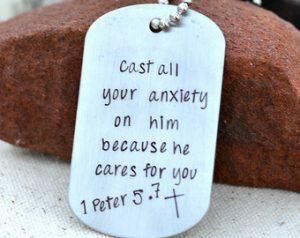 So, to the question of whether God has any concern for each of us personally, we can confidently answer: “Yes! Look at Jesus Christ, who is the perfect image and revelation of the invisible God.” There are no categories of people for whom Jesus did not give his time. You matter to Jesus Christ. He came into the world because God cares about you, whatever your present situation is or whatever your present attitude to Him is. “For God so loved the world that he gave his only begotten Son (Jesus) that whoever (and why not put your name in that ‘whoever’) believes in him should not to perish but have eternal life” (John 3 : 16).